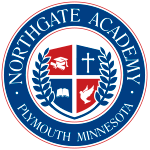 If you want to take control of your child’s education, Northgate Academy can put you in the driver’s seat. We put you in control of your child’s education by offering an online high school diploma program, with curricula that meets both State and National Standards, supported by a caring and nurturing staff. If you are wondering why you should homeschool with Northgate Academy, the answer is pretty simple: high quality, faith-based courses, flexibility, and affordability. Our curriculum is entirely self-paced, which means that you and your child are in complete control of your child’s education. Depending on your child’s specific needs, your child can progress at a pace that best suits their learning objectives. We realize that every child is unique and learns at their own pace. The Northgate Academy homeschool program recognizes and respects the individuality of every student. With no set schedule or imposed “seat time”, your child can learn independently and at a pace that works for them. Students under the age of 18 are required to complete a minimum of 15-20 hours per week to complete with your State compulsory attendance laws. Northgate Academy offers the best of both worlds. We offer your child a high school diploma that is recognized and will be accepted at colleges, but as a parent, you still have the control of being a homeschooled family. This helps you fully understand and participate in your child’s education. Partnering with Northgate Academy Online can also limit and reduce State reporting requirements that are typically associated with homeschool. Our State Certified instructors will partner with you to ensure your child receives the best-homeschooled education. Click here to review the curricula and course descriptions. Ready to get started today? Click Here and get started now or call us today at 1-800-339-7132.